Check born architect Antonin Nechodoma's (1877-1928) work in Puerto Rico is herein documented with pictures of some of his remaining work taken between July 2014 and January 2016. It also includes as reference works of other Architects in the Prairie Style which Nechodoma is credited with introducing in Puerto Rico. Two of Nechodoma's work were the design of the homes of Antonio Roig-Torrellas and Eduardo Georgetti, both who made their fortune in the sugar industry during the first part of the 20th Century, more information about each can be found in the Central Roig and Central Plazuela pages. Nechodoma's background was mainly construction, his preparation for architecture was scarce if at all, he was a self-made man who throughout his career continuously susrprised with his outstanding designs. Even though his construction background, most of his work on the island was built by Frank Hatch. It is said that Nechodoma copied his residential work from the Wasmuth Portfolio . 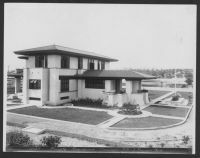 It is possible that Nechodoma was also influenced by the work of Henry John Klutho for whom he worked in Jacksonville prior to relocating to the Caribbean and who became an advocate of the Prairie Style after meeting Frank Lloyd Wright . If his work was original or plagiarized is for others to decide, it is though, interesting work and a genial adaptation of a style born in the US midwest to the Caribbean. Circumstances surrounding his life and death appear to have been no less controversial and interesting than his work. An article by Architect Thomas Marvel published in the Fall 1983 issue of the Florida Architect reveals some interesting information about his life including his his years in Chicago and Jacksonville. As if his life was not filled with strange circumstances, after his death in 1928, Nechodoma's son committed suicide at the family's house in 1934 as verified by his death certificate . Architect Thomas Marvel (1935-2015) in his 1994 book Antonin Nechodoma, Architect 1877-1928: the Prairie School in the Caribbean lists all of Nechodoma's work in Puerto Rico. Unfortunately, out of 82 of his designed structures listed by Marvel, 32 or 39% are identified in the book as demolished and 25 still in existence although alterered. As we identify and picture the existing ones we will be adding them in this website. The design of the Wilson - Leiman House in Tampa has been in the past identified in error as a Nechodoma's. In the Letters to the Editor section of the March/April 1984 Edition of the Florida Architect this design is attributed to the Firm Bonfoey & Elliott. Pictures of this house are included as it is considered Tampa's finest example of the Prairie Style. Old pictures are included below of some of his designs now gone, the better known of which are Madame Luchetti's residence in the Condado where today is the ​​ Condado Plaza Hilton Hotel and the Georgetti Mansion on Ponce de Leon Avenue. Also included are pictures of his residence, which 1913 design was his first after returning from the Dominican Republic and is not yet typical of the Prairie Style he adopted later on in his career. 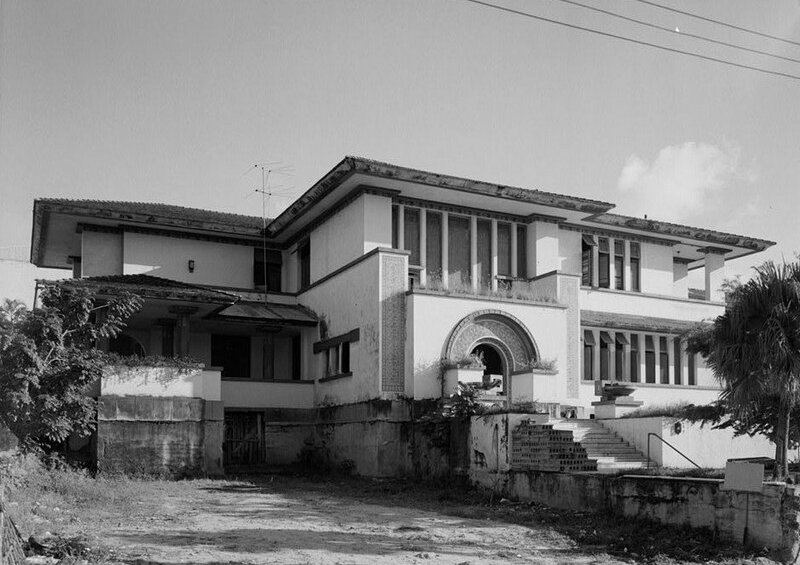 The Madame Luchetti residence was built on land acquired and developed by her two step-sons, Sosthenes and Hernand Behn, also owners of Hacienda Quebrada Palma in Naguabo. The developed land became what is today known as the Condado area of San Juan, one of the city's most exclusive neighborhoods. Nechodoma had designed the Luchetti School in 1906 at the entrance of Condado so he was well known to the family. Sometime in 1915 he was commissioned to build the house for Madame Luchetti in what was the most outstanding residential location in all of San Juan at the time, and probably still today. 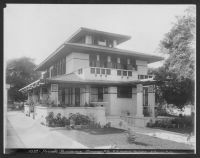 The Luchetti residence was an adaptation of Frank Frank Lloyd Wright's design of the Ullman House which was never built, with many of the principal elements similar but with marked differences as well. The Georgetti mansion designed in 1917 was the most opulent residence in its day when construction was finished in 1923. It was on the corner of Ponce de Leon Ave., the principal road between San Juan and its burgeoning suburbs, and Hipodromo Street. It was demolished in 1970 and its site since has been used as a parking lot. Similarities between the Georgetti design and the Dana House design by Frank Lloyd Wright can be identified when comparing the Georgetti Mansion's old picture and the Elevation Plan of the Dana House below. Nechodoma also used the facade of the Dana House for the Korber Residence .